I set a group gift after a long time in the shop. It's a normal type of the half denim sold this time. The color is a black. It's functionally equal to cargo pants of the camouflage print though it is not cargo pants. Please activate the group tag and touch the panel. And, please receive the gift. I will tell it to you by the group notification before it ends. 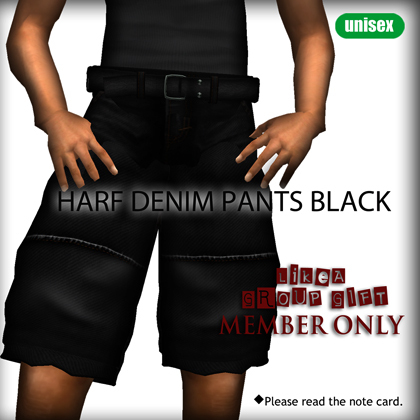 New Release "Half pants of camouflage print"
I have managed the shop in the Second Life. LikeA. Theme ligneous by pure-essence.net. Bloggerized by Chica Blogger.